We proudly offer commercial services to our business clients Prior Lake, Savage, Burnsville, Shakopee, rural Jordan, parts of Lakeville, parts of Apple Valley and Elko/New Market. 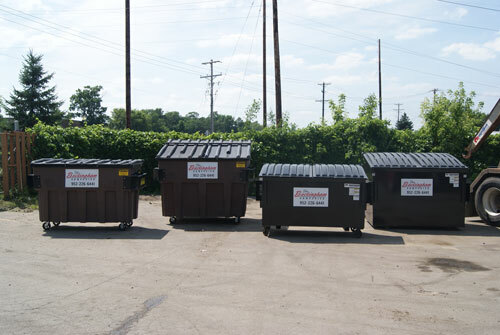 Commercial dumpsters are available in 2yd, 4yd, 6yd and 8yd sizes. We offer on site consulting, extra bulk item pickup and compactor services. Call us to see what size and frequency is right for your business!